We hope you had a great weekend! We had a hard goodbye on Saturday after a great week together in Scottsdale. It’s crazy how fast time together goes by. We did a lot of fun things together and really enjoyed every second. On Friday, our first day together, we spent some time at the resort and the Michiganders soaked up some sun before heading to dinner at Chelsea’s Kitchen. With the time change, we called it an early night and had plans for a mini trip on Saturday. On Saturday we drove south, outside of Tucson for a spa day. We rented a cabana by the pool and the girls were treated to massages. We enjoyed the rest of the day by the pool before heading to a beautiful dinner outside watching the sunset and listening to live music. 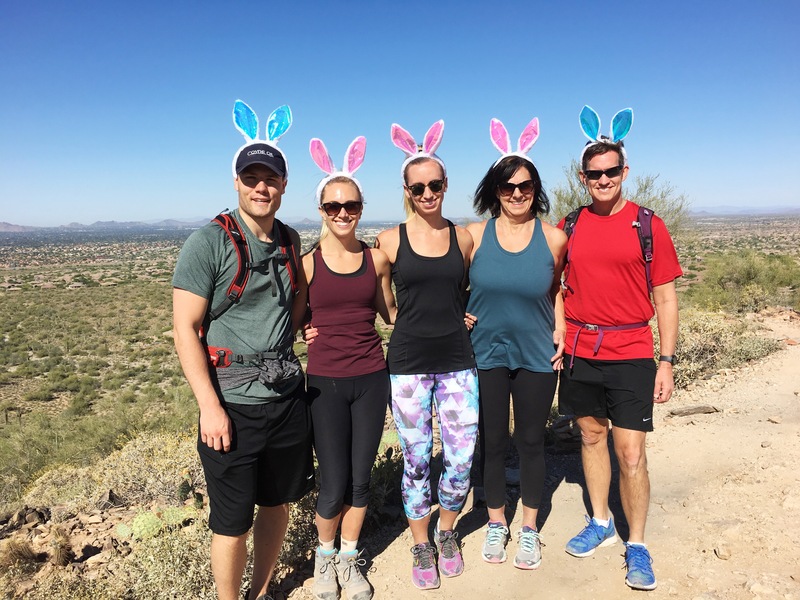 On Sunday, we celebrated Easter with a morning hike while sporting some festive bunny ears. The fellow hikers on the trail got quite the kick out of our bunny ears! It was a beautiful morning for a hike and we enjoyed the workout. After hiking we had brunch and attended a spring training baseball game. We then enjoyed a homemade Easter dinner at Amanda and Kevin’s place. The rest of the week was full of relaxation and family time. 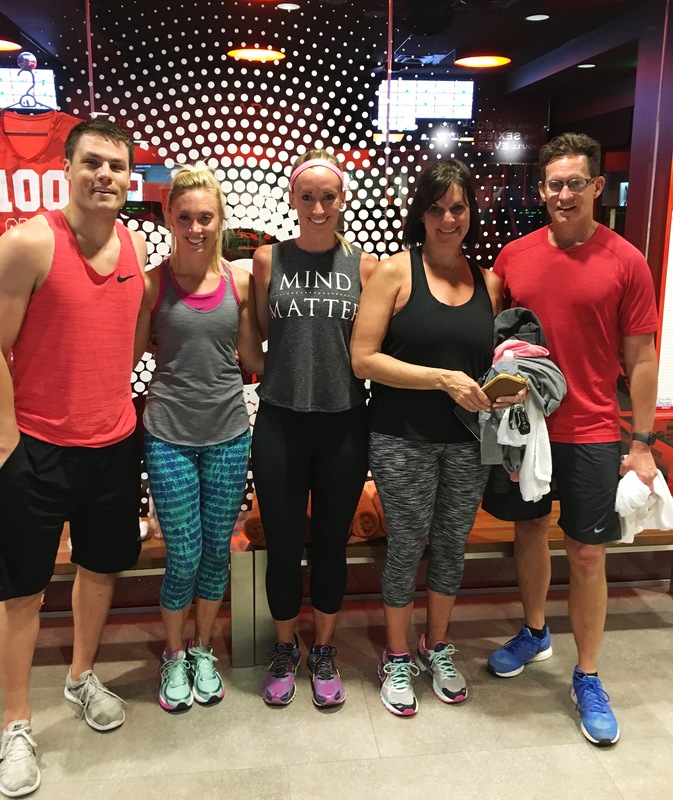 We were also able to try some new workout classes throughout the week including aerial yoga and Orangetheory Fitness (stay tuned for future posts on these workouts!). The week flew by end before we knew it, it was Friday, our last night together. The girls got blowouts at DryBar before meeting the boys for dinner. We had a fabulous dinner at The Henry as a family. 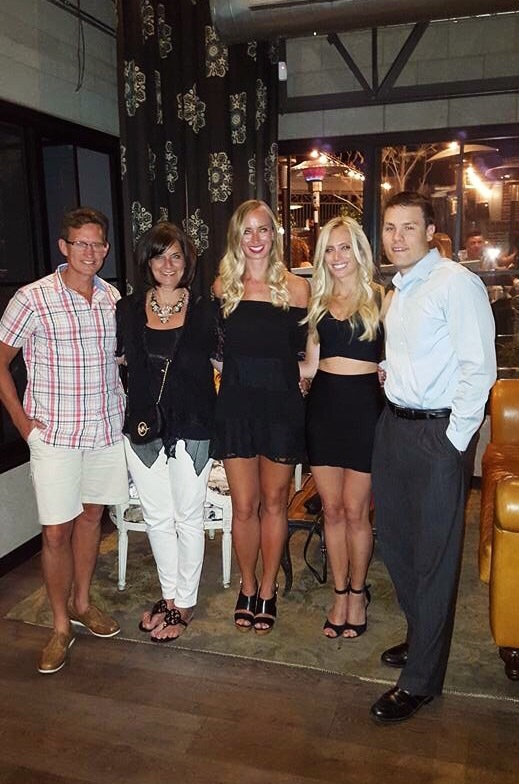 Nothing beats family time! While we had an amazing week together, saying goodbye never gets easier especially since we may not see each other again until August. Thank goodness for FaceTime! We hope everyone has a great week!